Aristotle knew what he was talking about, and so do ShoppingGirls of all ages. Education is not only valuable, it is fun! See? Studying really can be fun. In today’s post, we are going to look at some less common resources for ShoppingGirls to find gear they need for their educational pursuits. Students of different ages have different needs in terms of supplies, but many items will work great for all ages of students. Photo via Slate.com.Let’s begin by pointing out that this is a vast shopping field, and no single post could possibly cover every ShoppingGirl’s schooling needs. Also, there are already tons of helpful resources online for many of the most commonly needed supplies. No need to tell ShoppingGirl moms to hit up Walmart, Target, and Staples, for example; they on onto those deals already. Your school, or course professor, will tell you what tech gear is required. Do what they say, or you may regret it. Photo via collegeatlas.org. We aren’t going to review tech gear, such as laptops, since most schools have specific requirements to which a ShoppingGirl must adhere. If a ShoppingGirl has free choice in the matter, truthfully, savings are to be had with outdated, used models that are likely to cover her needs just fine. Save your money for other stuff you need or want. Of course, if your field of study requires it, perhaps Film or Gaming, for example, you’ll need to drop some funds on gear with excellent video and sound capabilities, as well as massive hard drives. 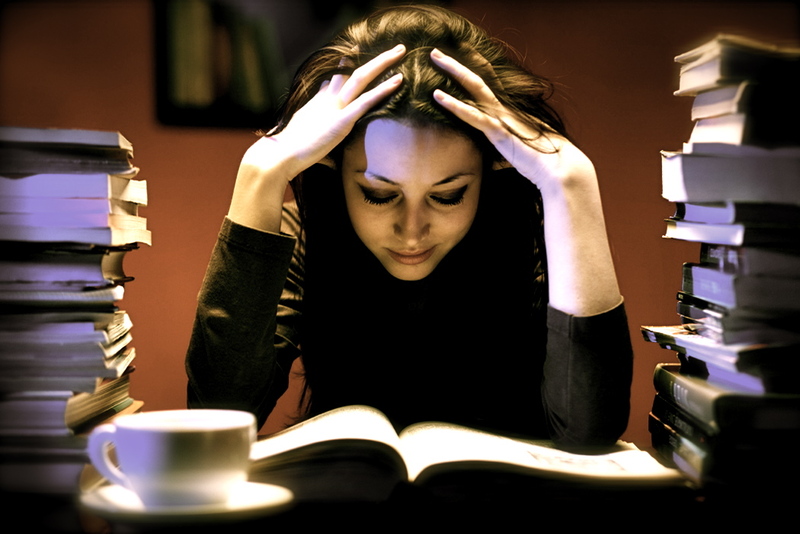 Don’t forget to schedule study sessions that are long enough to allow time for pondering what you are studying. It’s the only way you’ll really learn the material. Photo via huffingtonpost.co.uk. So, let’s take a look at some online shopping resources that you might not yet be familiar with. Find all the discount promo codes you need to save on your back-to-school wardrobe (and other) purchases, in one convenient, reliable place. RetailMeNot.com. Most ShoppingGirls who have kids or are themselves going back to school will be purchasing clothing prior to the start of the school year. While your fashion choices are and should be your own, we do encourage you to remember that school, and traveling to and from school, are activities requiring functionality and safety in your wardrobe selection. If you are concerned that functionality will inhibit your style, step up to the challenge! Every ShoppingGirl can succeed at creating a fashionable and practical school wardrobe. A practical school uniform look, made effortlessly stylish with a few special touches. At a minimum, avoid footwear with heels that are too high, or which does not fit securely upon your feet. You need to be able to traverse multiple ground surfaces in varying weather conditions, run up and down stairs, and brace you feet up on lab stools without breaking the heels off of your shoes. Safety first, so that you or your kids can study without distractions. Learn365 Fold and Store Caddy expands from briefcase size to a rolling cart large enough to tote binders, textbooks, backpack, or sports gear. You’ll also need a properly fitted, sturdy backpack. Consider one with wheels and an expandable handle to pull it, or a folding cart which can haul your backpack or other things as needed. You’ll be glad you did if you strain your back in your physical education class, or have a bunch of books to return to the library. Novica is National Geographic’s fair trade website. There, you can purchase a one-of-a-kind, handmade, real cashmere pashima from the artisan who made it. This “Purple Horizon” pashima was made by Karmabhoomi, a craftsman in India. If it’s sold, don’t worry, the website has a lot more! Finally, at a minimum, embrace the magic that is a Pashima (or something similar). We recommend these for ShoppingGirls of all ages who are attending school. It is difficult to study when you are distracted by a chilly classroom, or find yourself seated under an air conditioning vent in the auditorium or library. Pashimas are warm, but fold up into practically nothing, making them easy to carry. They also work as seat covers, picnic blankets, and emergency concealers of sundry wardrobe malfunctions. E-Readers, like the Kindle Fire tablets, and related apps and software, make managing your textbooks and studies incredibly easy, compared to the old-fashioned methods. If possible, we recommend that you get as many of your textbooks as possible in virtual form as e-books. Why? So many reasons. E-textbooks are much cheaper then hardbound books. The old method of studying with real books is time-consuming, cumbersome, awkward, and requires a lot of space for the books, note-taking supplies, lamp, and whatnot. It also isn’t that great for your eyes, neck, shoulders, back, wrists, and hands. Plus you need space to store them. An e-textbook is available and can be synched across all of your devices. So, for example, if you forget to bring your laptop to class one day, you can whip out your smartphone, open the e-book app, and continue along without a problem. Any notes you take during that class will sync back to your laptop e-book software. You can rent e-textbooks for the semester, just like you can with regular textbooks, but without hassle of having to return them in the mail. You will have much less to carry and stash in your dorm room, locker, or backpack. Said backpack will be much lighter and better for your back! If you have regular textbooks–and you will–you’ll want something like this Levenger Cubi Storage Stand. It is worth the investment for its ability to hold a large, heavy textbook open and up at one of three angles for use during study. It doubles as a tablet stand too, with an opening in the book ledge that allows the cord to pass through. The pull-out drawer is the icing on this cake. Get this for your child who hates doing homework, and see if her attitude doesn’t improve due to the added comfort and convenience. You no longer need a place to spread many books open all around you while you study. You won’t need to brace them, angle them, fight to keep them open to the right pages, nor squint and struggle to read and keep track of the information you are trying to use while doing your homework or writing your papers. Simply open the e-book(s) you need, and navigate super-easily by using the various features such as Search, Bookmark, Notes, and Highlights. Note taking becomes genius with e-books. Multiple ways to mark, notate, highlight, share, and sync make e-books extremely useful references accessible with a touch or quick search. Kindle cover by Oberon Design, renowned for their handmade covers for tech gear, folios, journals, and all sorts of other things. Everything is handmade in the USA after you order it, of the finest materials. The craftsmanship is unsurpassed, featuring deep, richly textural, multi-dimensional embossing on both the front and back covers, a wide range of beautiful colors, and intelligent, practical, yet beautiful designs. These are not only made to last a lifetime, but are of heirloom quality and will last for generations. As beautiful as they are, they are also amazingly tough. This ShoppingGirl has owned several of them for years, and they all look virtually new. You truly cannot get a better option than these. E-book apps and software generally include a Dictionary, helpful with quickly checking a definition before continuing on seamlessly with your studies. Also, you can easily jump online to get more detailed information as you study, then hop right back to your e-book. Quoting, citing, and bibliographies are all made much easier when using e-books. As you flag, the software or app creates a convenient list to refer to and that hyperlinks back to the specific location with the e-text. The one concern that you may encounter with using an e-textbook for this purpose is that you may not be able to cite to specific, hard page numbers. This is because e-readers provide customization options that allow you to change things like font size and style, line spacing, etc., all of which will inevitably alter what text would appear on what page. Instead, e-readers use “location” references. Most instructors are becoming more tolerant of these types of location citation references, however, it is a good idea to check with your instructor, prior to purchasing your textbook(s), to make sure she will allow you to cite references from the e-book version. If you are looking for a comprehensive, well-designed, and popular free e-reader software alternative, we recommend Calibre. When you study online, you have nearly instant access to many helpful reference tools, such as dictionaries, encyclopedias (no, not Wikipedia, although it’s a great place to trigger research from legitimate resources), language translators, and museums. You can install e-book software that will sync with your e-reader tablet and phone. Friends, grandparents, and experts from around the world can help you study online too, via services like Skype, educational chat rooms, and online classrooms. Otherwise, we recommend the Amazon Kindle family of e-readers. Why? For school book purposes, Amazon simply is your best option. Amazon has a well integrated group of textbook related features that you’ll want to take advantage of. What if you have to purchase at least some hard-copy books? We suggest you consider renting your textbooks. It is unlikely you would want to keep them after the course and, if you do, you can then pay an additional amount on your rental to keep it, so there is no risk. Amazon’s textbook rental service is one of the best bets, due to Amazon’s massive book inventory and popularity. If you have questions about something you read in an e-book, why not try to contact the author? They usually list their contact information at the beginning or end of the e-book. If not, you may be able to reach them through the university they teach at, or their workplace. Who knows? You might score expert advice, study assistance, or an interview for a project report from a world-class expert in the field! Part of advancing your education includes expanding your network of contacts, and this is a great way to do it. If the rental option isn’t available for a particular textbook, another great option on Amazon is to purchase used copies of your textbooks from independent sellers. Just search for the textbook you need, then click on the link that says “More Buying Choices”. You’ll likely see at least a few people re-selling their used textbooks, and reliable independent used bookstores doing the same. Another great online option for finding textbooks is Chegg.com. We also recommend Powell’s Books, a long-time reliable resource with great prices that will often have obscure books you’re hunting for and can’t find anywhere else. Whether renting or buying textbooks, be sure to start your search early, so you don’t get shut out! Then you’ll end up paying full price. However, all is not lost if that happens because, just like other students, you too can re-sell your textbook at the end of your semester. Buy that textbook through Amazon, and they will likely send you an email at the end of the semester, offering to buy it back for their rental program. Finally, ShoppingGirls who are experts at saving money will want to try getting older editions of textbooks, which offer the greatest possible savings. To do this, double-check with the instructor to make sure this is acceptable; sometimes, newer editions have substantial updates or page number changes that will affect citing. But if the instructor gives the okay, you may be able to get older editions of your textbooks for practically nothing. Tomorrow, we’ll post links to some great online retailers that offer supplies you might need, or not know you want or need, for all of our school, research, and project needs for the upcoming school year! 3 … 2 … 1 … ShoppingGirls: Engage!